DISCLAIMER & RISK DISCLOSURE: You must agree to the following before using any and all of FTMDaily.com's online services. Trading can be extremely risky. Trading generally is not appropriate for someone of limited investment or trading experience and low risk tolerance. You should be prepared to lose all of the funds that you use for trading. Do not fund trading activities with retirement savings, student loans, second mortgages, emergency funds, funds set aside for purposes such as education or home ownership, or funds required to meet your living expenses. Trading requires knowledge of a firm’s operations. You should be familiar with a securities firm’s business practices, including the operation of the firm’s order execution systems and procedures. Under certain market conditions, you may find it difficult or impossible to liquidate a position quickly at a reasonable price. This can occur, for example, when the market for a stock suddenly drops, or if trading is halted due to recent news events or unusual trading activity. The more volatile a stock is, the greater the likelihood that problems may be encountered in executing a transaction. In addition to normal market risks, you may experience losses due to systems failures. Information provided in the Gold member membership, the Profit Trakker trend trading software, any of FTMDaily.com’s Premium Paid Services, or any of FTMDaily.com’s free resources is for educational and informational purposes only. Followthemoney.com and its principals are not, and do not represent themselves to be offering or recommending any securities to be bought or sold. We are not a broker-dealer, an investment advisor, or a financial advisor. Any investing resources provided should be considered as a guide only, which must be tempered by the investment experience and independent decision making process of the subscriber. 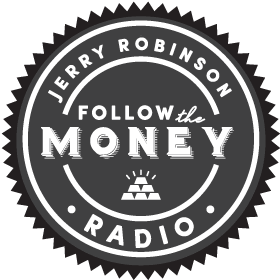 Jerry Robinson, an owner of Followthemoney.com, holds a life and health insurance license in the state of Arkansas, license #439070. Jennifer Robinson, an owner of Followthemoney.com, holds a life and health insurance license in the state of Arkansas, license #438376. By using any part of Followthemoney.com, signing up for any paid or free service of Followthemoney.com (including but not limited to our Platinum, Gold, Silver, or Bronze memberships, Profit Trakker trend trading software, the Market Trakker, Global Currency Monitor, Income University, PACE Portfolio, the Daily Trading Diary, among others), you confirm that you will take full responsibility for your actions and that you will hold FollowtheMoney.com and its owners harmless and not liable for any and all investment losses that may occur as a result of your choice to invest in a stock, ETF, hard asset, income opportunity, or any other investment idea that we highlight through our web-based resources. Followthemoney.com and its owners, certify that we may trade our recommendations. FollowtheMoney.com, and its owners, further certify that we may sell the stock shortly after our purchase. When we feature a stock on our website, we may choose to trade it. There is risk, and you can lose your entire investment. Do your own due diligence. Make informed choices. Followthemoney.com, and its owners, makes no guarantees. If you have questions, please contact us: info@followthemoney.com or (800) 609-5530. Website Disclaimer. The site, the materials on the site, and any product or service obtained or accessed through the site are provided “as is” and without representations or warranties of any kind, either express or implied. 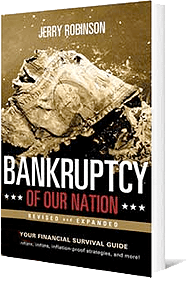 To the fullest extent permissible pursuant to applicable law, Followthemoney.com, its officers, directors, employees, affiliates, suppliers, advertisers, and agents disclaim all warranties, express, implied or statutory, including, but not limited to, implied warranties of title, non-infringement, merchantability, and fitness for a particular purpose, and all warranties relating to the adequacy, accuracy or completeness of any information on the sites. Applicable law may not allow the exclusion of implied warranties, so the above exclusions may not apply to you. Followthemoney.com and its affiliates, suppliers, agents and sponsors do not warrant that your use of the site will be uninterrupted, error-free, or secure, that defects will be corrected, or that the site or the server(s) on which the site are hosted are free of viruses or other harmful components. You acknowledge that you are responsible for obtaining and maintaining all telephone, computer hardware and other equipment needed to access and use the sites, and all charges related thereto. You assume total responsibility and risk for your use of the site and your reliance thereon. No opinion, advice, or statement of Followthemoney.com or its affiliates, suppliers, agents, members, or visitors, whether made on the site or otherwise, shall create any warranty. Your use of the sites and any materials provided through the sites are entirely at your own risk. This Disclaimer was last updated on Dec. 20, 2018.